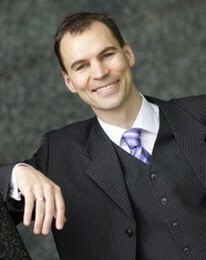 Dr. Mark C. McLeod Ph.D. J.D. is a Barrister and Solicitor licensed in Nova Scotia and Ontario. Dr. McLeod completed a Ph.D. from the Faculty of Medicine, Dentistry and Health Science, The University of Melbourne, Australia, investigating the pharmaceutical effects on expression of various genes and proteins in the frontal cortex of subjects with schizophrenia and bipolar disorder. Dr. McLeod then undertook a post-doctoral fellowship at the Brain Repair Centre, Halifax, Canada, investigating the differentiation of stem cells for neural transplantation strategies in the treatment of Parkinson’s disease, Huntington’s disease and stroke. Dr. McLeod specialized and has published numerous articles in areas such as stem cells, pharmaceuticals, and animal modeling of disease. Dr. McLeod also explored the moral and scientific considerations of embryonic stem cell research as well as the benefits, risks and ethical considerations in the translation of stem cell research to clinical application. Dr. McLeod also completed the Melbourne Juris Doctor (J.D.) program from Melbourne Law School, The University of Melbourne, Australia. Dr. McLeod is the co-founder of the intellectual property law firm of Abaunza McLeod LLP, which has offices in Nova Scotia and Ontario. Mark is an external legal consultant with Novel Tech Ethics, Dalhousie University, providing critical legal analysis on issues related to biomedical technologies, legal ethics, health law and policy.